Regardless of the lead-acid car battery you use, with the lack of maintenance, they can lose a large amount of capacity due to sulfation. However, by using a battery desulfator, you can restore lost capacity and prevent early battery failure. The best battery desulfator is the BatteryMinder 128CEC1, which doubles up as a charger-maintainer to provide all-round battery maintenance. Whilst a battery is in an uncharged state for long periods of time, lead sulfur forms as small deposits that harden overtime. The longer that you leave the battery uncharged, it will begin to worsen thus lowering the capacity of the battery. 7.2 How Does A Desulfator Work? The purpose of a battery desulfator is to send pulses of electricity into the battery that helps remove sulfate from the lead plates. Some of the best car battery charger devices include a desulfator functionality, which is perfect for fully charging your battery and improving the capacity of the battery at the same time. Battery sulfators are relatively unheard of due to the lack of car battery knowledge with regards to sulfation. However, with more manufacturers including them as part of their charging funcionality, they are going to become more popular. The buildup of sulfate upon the battery lead plates harden overtime, which causes the main issue and kills off your battery. Below is a list of the best battery desulfator that will help extend the lifespan of the battery by restoring lost capacity. The BatteryMinder is a big brand that produce a range of products from their popular battery maintainer models to chargers. The 128CEC1 model in particular is the ultimate device in terms of all-round car battery maintenance. The BatteryMinder 128CEC1 may have a premium price tag but its a device that shows superior quality. For example, unlike other battery desulfators, the 128CEC1 uses a range of high frequencies to help remove both old and new deposits rather than just a single fixed frequency. Overall, it is the best desulfator battery charger on the market that will provide you with a method of maintaining multiple batteries at the same time. The Xtreme Charge Desulfator Battery Charger is a compact device that will evaluate, test and charge 12 volt lead acid batteries. It uses proprietary algorithms and microprocessor controlled technology to provide an effective charge and desulfator functionality to restore lost capacity and fully charge the battery. Overall, it is a cheaper alternative that is excellent and bringing batteries back to life. However, when it comes to charging of the battery, it only charges at 2.5 amps, which may be too slow for those that require fast charging. PulseTech is another popular brand and unlike the BatteryMinder and Xtreme Power devices, it is purely a desulfator. It is designed to connect to an external charger via a prong output to provide an effective pulsation to remove sulfation. Overall, it is a great all-round battery sulfator and PulseTech themselves even claim that it increase battery life span by up to five times. Hooking this desulfator with a quality battery maintainer/charger will be an excellent combination for reviving and tackling batteries that are struggling to hold charge. For those on a budget and looking for a cheap battery desulfator to test out, then the Clean Power device is a great option. It is a lightweight and compact construction that uses a LED light to indicate when the pulsation is working. Although it is made in China and is one of the cheapest available, it really does have plenty of functionality. For those that have a single battery that is struggling to retain power, this battery desulfator is a great option. The Battery Life Saver does exactly what it says within its brand name. It is commonly used with solar or RV battery banks but is also highly effective when used to recondition a regular 12V car battery. The brand even claims that it will extend your battery life by up to 2 to 3 times by removing the sulfate crystals that have built up. Overall, the Battery Life Saver is a premium battery sulfator that promises an extension of your batteries life span. Although its great for regular car batteries, it is even better for bank battery setups that you may have installed. Sulfation is one of the most common causes of lead batteries struggling to hold their charge. It is caused via the lack of maintenance and old age, which has the effect of reducing the capacity of the battery overtime. When you leave your battery in an uncharged state for long periods of time, the lead sulfur forms as a small deposit that hardens overtime. This reduces the capacity of the battery and promotes early battery failure, which is not what you want to hear. Therefore it is important that you maintain your battery accordingly to avoid sulfation buildup. This can be achieved by using a battery desulfator, which can revive batteries that may otherwise be classed as dead. It does this by sending a range of high frequencies to remove sulfation crystals. To help you make an informed buying decision, below is a battery sulfator buying guide that covers all the important factors. It is important to remember that the buildup of sulfation crystals may not always be the cause of damage to your battery. Physical damage such as an open or short cell cannot be fixed by using a battery desulfator or any other method for that matter. By using a car battery tester, you will be able to discover whether a battery has any physical damage and if it does, it it probably best to purchase a new battery. How Does A Desulfator Work? In order to remove the negative and positive battery plates of built up sulfate crystals, you will require a battery desulfator. Once connected to a battery, the desulfator will send several wide ranging frequencies that dissolve the sulfate crystals upon the lead plates. This has the effect of cleaning the negative and positive battery plates and restoring the lost capacity. For further details of the process of dissolving sulfate crystals upon a battery, take a look at this article. Not all battery desulfators function in a similar fashion. Some require connecting to a charger or maintainer whereas others are complete systems that are both a charger and desulfator combined but of course, you will pay a premium over the alternative. 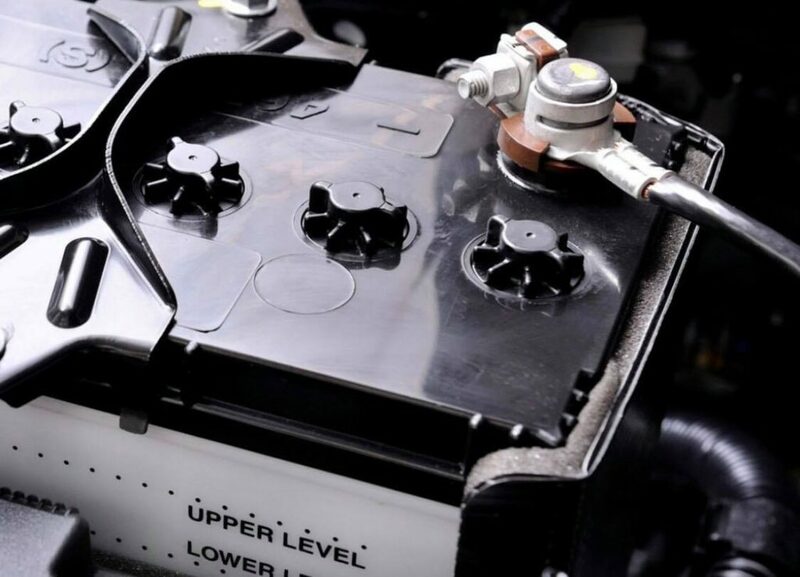 Car batteries are expensive to purchase new and if you find yourself doing this on a regular basis, it can become fairly frustrating. However, little do people know, a lot of the batteries that you may otherwise think are dead can actually be restored to an almost new condition. By using a battery desulfator, it sends a range of high frequency pulses that dissolve the hardened. This will therefore restore lost capacity and extend the life span of your battery. Considering that even the most expensive battery desulfator is less than half the price of the average car battery, it makes sense to attempt to fix the battery before throwing it away. All of our recommendations within this article are suitable for a range of different budgets and offer great value for money.